Cold weather brings on the cozy vibes! Blankets, fires, time with friends and warm drinks are a must as the temperature continues to drop and the mood becomes more and more festive. Naturally, yummy smells are almost always a part of these cozy feels, and while things like potpourri are popular and essential oils are always awesome, why not try your hand at some essential oil infused candles for the holidays? Beautiful, eco friendly, non-toxic and absolutely awesome as a gift, candles really should be considered a must for the holidays. It’s that time of year now where we start paying more attention to the smells wafting through our homes, enjoying the soft glow of warm light in the evening, and thinking about meaningful gifts for all those whom we love. Gift giving can be a bit of a challenge- especially if you’re shopping for people who are picky. In cases like that, opt for a gift that everyone, picky or not, can enjoy: candles. Whether you meditate, like the look or appreciate the smell, candles have become popular additions to the home and spa. They make great gifts, brighten up a room, and can set the mood for a relaxing night at home. What you may not know is that, aside from the different fragrances used, not all candles are created the same. The type of wax used to make the candle has a great impact on the overall quality and safety of the candle, and that’s why we make sure to use the best, non-toxic, clean burning and biodegradable wax available. Before you buy your candle making supplies, you will need to decide which type of candle you would like to make. There are container candles (a popular first choice), pillar candles, votives, floater candles, beeswax candles, gel candles, and soy candles. You will need different supplies for each. The suggestions below can get you started, but you can add to or adjust some of the listed items to your preference. For container candles, you should buy about 5 lbs. of container candle wax, 6 fragrances (if you want each candle to smell different), 3 hexagon jars (9oz), 3 apothecary jars (10oz), at least 10 6 wicks, and 6 color chips of your choice. These quantities are for 6 candles; adjust the quantities as needed for the amount of candles you are making. In order to properly melt the candle wax, you will need a melting pot and a candle making thermometer. If you are new to candle making and you want to avoid the common mistakes many novice candle makers make, you can follow these tips to keep you on the right path. Candle making is a fun and relatively straightforward hobby, but there are ways you can mess it up if you are not sure what you are doing. If you are going to make a mold candle, you need to make sure you purchase mold release spray. Candle wax will stick to the insides of the molds enough to ruin the candle if you do not use the spray. Then you will have to painstakingly scrape out the inside of the mold and start over. Not all candle wax is single pour. Read the product description carefully on the wax you buy so you know what you are getting. It will specify single pour if it is single pour. If not, be sure to make enough wax to do a second pour. Scented candles are one of the top gifts in the United States, because they are an item of universal appeal. Scented candles make excellent presents, especially when you know what scent or scents your gift recipient really enjoys. For example, if your mother loves the smell of cinnamon, a candle that has a true cinnamon aroma may be just the thing. But candles are not just for gifts. Real estate professionals have long since learned that a home that smells nice sells faster. So, at home showings and open houses, you should expect to see a burning candle or two. Aromatherapy is a use for scented candles that usually prompts people to buy the candles for themselves. Lavender is excellent for de-stressing, meditating, or soaking in the bathtub. Orange is an invigorating scent that can cheer up a room. Candles often work for odor neutralizing. Just make sure you get the right candle for the job, or you might get forest pine-scented litter box smell. Some candles come with added odor neutralizing properties and others can do it simply with a strong enough scent and the natural effects of a little bit of smoke. Finally, scented candles are a great visual addition to a room. With different colors, containers, and sizes, they can be used for almost any dcor. Additionally, when they are lit, the little flame creates a warm ambience in the room. Whether it is for romance or a home sale, scented candles can give that extra something that makes the atmosphere more pleasant and appealing. Beeswax candles became popular in Europe during the Middle Ages. They were expensive enough that most people could not afford them. Today, although still a bit of a luxury, households across America are enjoying beeswax candles for their classic look and their pleasant sweet scent. Rolling beeswax candles is very easy and fun, simple enough for children to do as a supervised project. Purchase sheets of colored and/or scented beeswax (according to your preference) and a few wicks. The wick should be about 2 longer than the height of the candle. You can cut the sheet for a shorter candle, or keep it the full height if desired. Place the wick near the edge of the sheet and begin rolling it evenly, tightly, and firmly until you have rolled up the whole sheet. Press the end of the sheet into the candle. Then, trim the wick and your candle is done! Or, if you want a thicker candle, add another sheet and keep rolling. If you would prefer to melt your beeswax and form it into a mold, you need to heat the beeswax in a double boiler, to 170F. Color and add scent, if you like. Just make sure the dyes and perfumes you use are intended for candle making. You can spray the candle molds with releasing spray for a cleaner finished product. Place the wick as the mold requires and pour your beeswax in. Finally, beeswax candles are really fun to make using the dipping method. This old-fashioned method requires taking a wick or wicks (lined up on a thin rod) and repeatedly dipping them into the heated wax (at 170F or a little less), allowing each layer to cool and harden briefly before dipping again. Layer will build upon layer until you get to your desired width. Hang them to dry and enjoy your homemade beeswax candles. For making gel candles, you will need to purchase a kit or pull these items together yourself: gel candle glasses, candle gel, your preferred essential oil(s), zinc wicks, a candy thermometer, liquid dyes, and if you like, you can also purchase embeds to decorate your gel candles. Make sure that the dyes are intended for gel candles and that you do not use cotton wicks, because they will absorb the gel. You have several options for embeds. You can use polished stones, colored glass gyms (used in vases and aquariums), glitter, colored gravel, glass beads, shells, and even little metal charms. Whatever you choose just needs to be non-flammable. Use a hot glue gun to attach the wick to the bottom of the gel candle glass. After the glue cools, cut up the gel into pieces to melt faster. Put them in a stainless steel pot. Dont overheat them. Just use a low-medium heat to melt them evenly. The goal is 200F. Much higher than that and the gel will not set clear. So check your thermometer frequently until you get it right. Once the gel is smooth, you can start slowly adding your color, checking as you stir for the desired shade. Dont over-color if you want your embeds to show. Approximately 1/3 teaspoon of essential oil should give each glass of gel a strong enough scent, but you can add a little more if you like. Make sure that before you pour, you heat up the glass to between 150F and 160F so you dont get bubbles in the gel. Dip the embeds in the hot gel before you place them in the candle and place them towards the outside of the container for increased visibility. Pour your gel into the heated glass over a flat surface. Pour slowly to further avoid those undesirable bubbles. After you have filled your container, pull the wick up and wrap it around a pencil you can set over the top of the glass, to keep the wick straight while the gel dries. Once it is dried, you can trim the wick and present your finished project. Candles go back more than 5,000 years. As electricity is a relatively recent invention, various forms of candles were used for light for many centuries across the world. While the actual wick candle was probably invented around 3,000 BC or a little earlier, ancient Egyptians from an earlier time used to dip the pithy core of reeds into melted animal fat to make what we refer to as rushlights or torches. As far as history can tell, the ancient Romans made the first wick by rolling papyrus and dipping it over and over into beeswax or melted tallow. These simple candles were used at night, to light the interiors of their homes. It is not known exactly when this practice began. But back in Egypt, we know they were making wick candles by 3000 B.C. During approximately the same period, Chinese citizens were rolling rice paper for a wick and using wax from insects and seeds to form candles. The ancient Japanese were using tree nuts for wax and in India, they boiled the fruit of the cinnamon tree for wax. Much later, in 165 B.C., Hanukkah began to be celebrated, being called the Jewish Festival of Lights. Candles have ever since been a part of this religious ceremony. 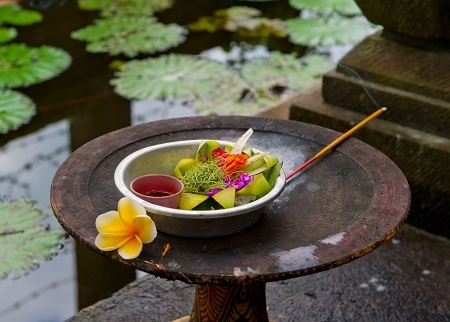 Many other cultures also have used candles as a part of their practices and rituals. The early Western cultures used tallow, which is animal fat, to make their candles. The tallow candles emitted a foul odor. Moving into the middle ages, Europe began making beeswax candles because they burned more cleanly and had a pleasant sweet scent when lit. But, because of the expense, beeswax candles were only used for ceremonial purposes and by the wealthy for many generations. It wasnt until colonial times that wax made from crystallized sperm whale oil was discovered. Unlike tallow candles it did not emit a foul odor, it did not soften on warm days, and it produced a brighter light than tallow candles could. Later developments include stearin wax (made with a chemical extracting process of animal fatty acids), paraffin wax (made from petroleum), and soybean wax. Each of these improved upon older versions, burning cleaner and smelling better. Todays candles use these waxes, many being made of combinations of stearin wax and paraffin. While candle-making dropped substantially with the advent of electricity, today they are popular for their ambience and variety of available scents and colors that give a room that special something which only candles can give. Candle making can be tough when you are out of practice. Candle making can even seem a little dangerous because it involves hot wax. It is also confusing on how much dyes and fragrances to use in candle making. Picking what dye you want to use can be tricky. No matter the color it is always important to read the box, especially the warnings. The dye is very potent and powerful. Be very careful because you can dye your clothes, counters, and stovetop very easily if you are not careful. Candle making is a great skill to learn. There are many reasons to want to learn how to make candles. You may choose candle making as a new hobby. Others make candles as part of a lucrative business. But whatever the reason as you begin you will need to acquire all the start up materials. The candle making start up process is all about getting your equipment. Some of these materials you will probably have around your household already. Other items you will need to research and purchase. The following is just what you need to being your new candle making hobby or business. When doing candle making, it is always important to know which wax to use. Each wax has different properties and will produce different types of candles. In candle making the wax will affect the quality of your candle. There are several candle making waxes, but the most popular used with companies is gel wax. It is popular because you can suspend things like beads, stones, and marbles in it. The down side with gel wax is that its melting point is around 200 F. When it is melted, it is still in gel form and is hard to pour into molds. Candle making on your own is very rewarding. You can give the candles away as gifts, sell them, or use them personally. Although candle making is fun, you need a lot of supplies to do it correctly. In candle making you can use fragrances or dyes. You can mix different ones together to make a new fragrance or stick to one color or scent at a time. You can either use the fragrance in the wax or on the wick. Candles have a deep history. When you look at the history of the world its been relatively recent that candles have not been needed for lighting purposes. The type of candle that resembles our modern-day candle was invented nearly 5,000 years ago! This article will peruse the history of candle making. And so the history of candles breaks down into two time segments. The first segment is before electricity. The second of course is after electricity. Candles have so many uses. Especially with the wide array of scents that candle making has produced these days, they become an easy solution to so many household or personal issues. 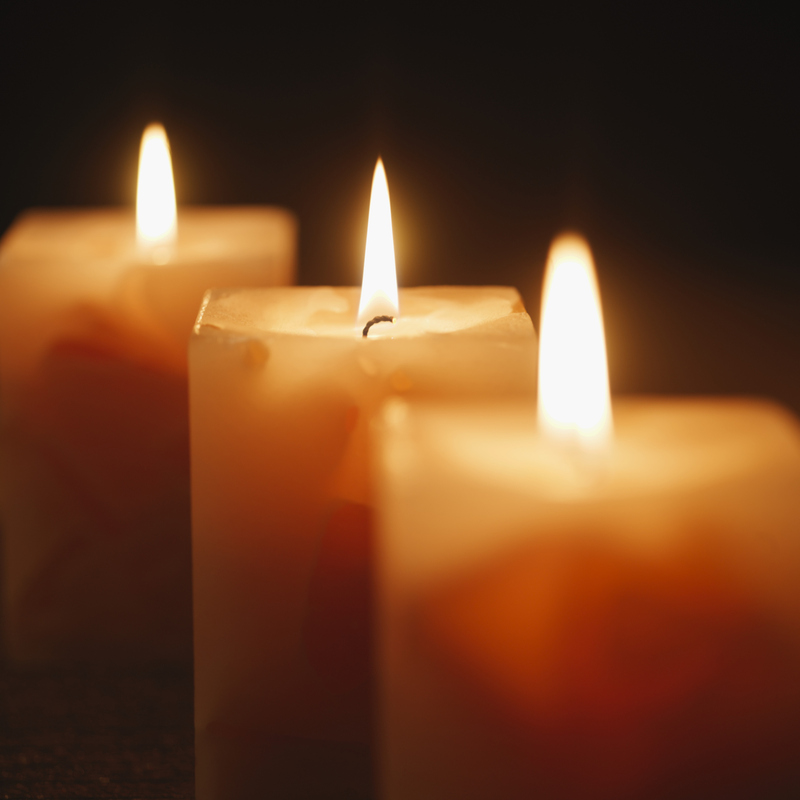 The following are 3 awesome ways that scented candles can help you every day. First, let’s talk household uses. Scented candles have some great uses at home. The wonderful aroma of a scented candle can improve the atmosphere of any living space. Place candles in bathrooms, kitchens and mudrooms to spruce up your home and make it smell blissful.